Please keep Children away from the stove fan while it is working. 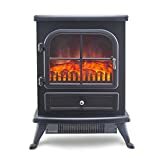 Economical, heat powered manual stove fan - increases the efficiency of your freestanding stove oven or wood/ log burner to generate warmth Can be automatically adjusted: the fireplace fan can automatically start and the speed can be adjusted according to the temperature of the furnace. 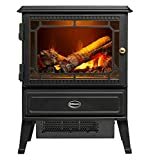 Eco Friendly and Save your bill: The stove fan doesn't need electricity or batteries,it will not increase the utility bills,and burn up 17% less fuel to reduce emissions. Ultra-quiet operation,higher efficiency? 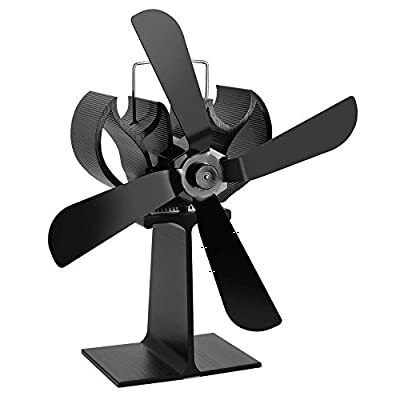 The unique design of the blades makes the stove fan work quieter than others, higher efficiency. Enjoy warm air in a comfortable environment. No need to install,hassle-free. A must have for heat circulation and distribution for your room via your stove. 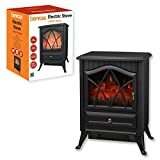 Heat-driven stove fan, No batteries or main power required: The wood burner fan creates its power by utilizing the heat from your wood-burning stove, fireplace or pellet stove. Circulate warm airflow to the rest of your room efficiently!